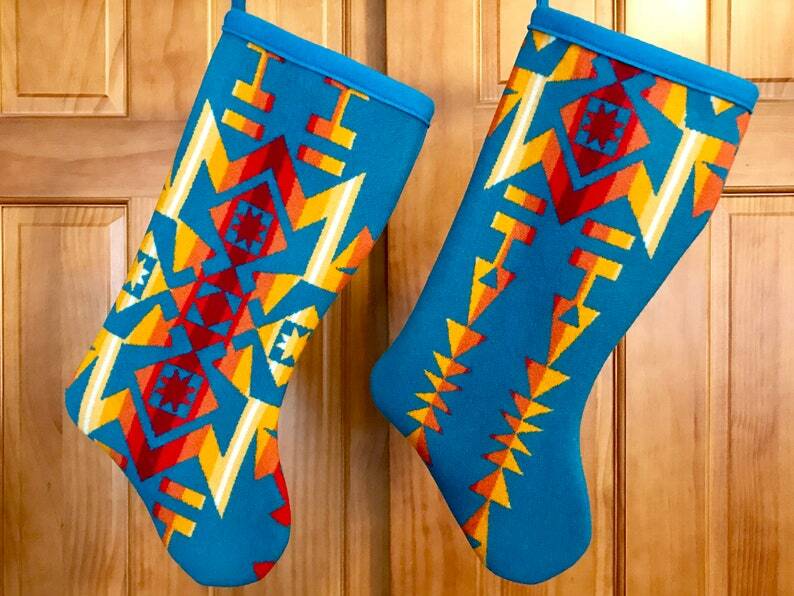 This Christmas Stocking is handcrafted from high quality Pendleton® coat weight wool. Beautiful and bold to complement your southwestern or cabin decor - durable enough to stuff full of goodies for the kids year after year. The top of the stocking and the large hanging loop are finished with coordinating Pendleton® blanket binding so you can hang them on small or large hooks. Inner seams are completely finished. The stocking 16 inches long. The top of the stocking is 7 inches wide, the width from heel to toe is 8 inches. This stocking is sure to become one of your favorite annual holiday decorations for years to come.